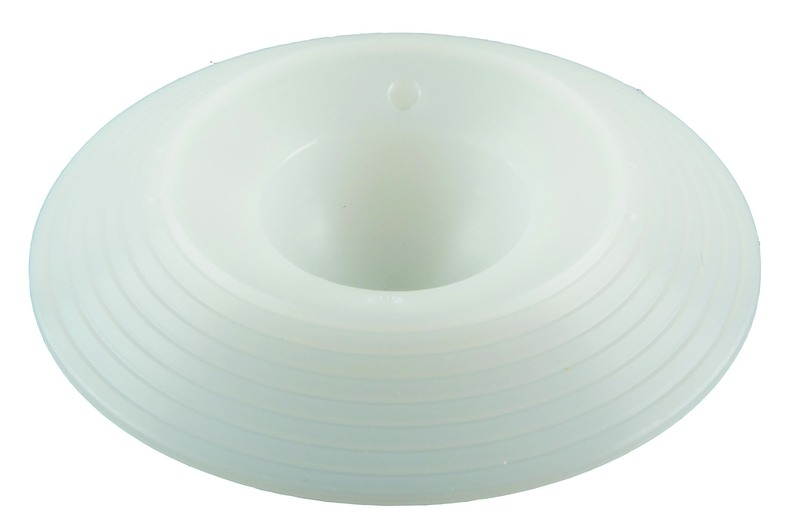 Ultra High Molecular Weight Polyethylene (UHMWPE) acetabular cup with integral flange, which can be trimmed to fit just within the periphery of the acetabulum, to contain bone cement and assist cement pressurisation to provide a continuous cement mantle. Available in 5 body outside diameter sizes from 44mm to 60mm in 4mm increments, each in standard and long posterior wall versions. The rim of each cup has two holes which accept the pegs of the Acetabular Cup Inserter Instrument for secure attachment. The outer surface of the body of each cup has grooves to assist with bone cement interlock and a stainless steel X-Ray marker wire to assist identification of cup position on post-operative X-Rays.